The National Weather Service confirmed Wednesday that a total of 10 tornadoes touched down Tuesday across North Texas, including three EF-1 tornadoes and seven EF-0 tornadoes. NWS survey teams said one tornado touched down in each Mineral Wells and Runaway Bay, both rated EF-1 on the Enhanced Fujita scale. Tornadoes rated an EF-1 can have wind speeds up to 110 mph and cause moderate damage. Four tornadoes occurred in Wise County, including an EF-1 near Balsora and another EF-1 east of Decatur. Elsewhere, one tornado was reported in Waxahachie in Ellis County and another tornado occurred in Jack County, according to the National Weather Service. 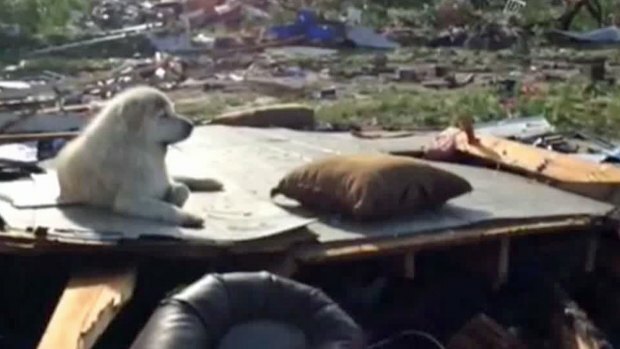 Considerable damage appears to have been caused by the tornadoes with roofs ripped off, cars destroyed and homes moved from foundations and flattened. Mineral Wells police reported Tuesday an abandoned bank building collapsed and the police headquarters was damaged after a tornado touched down there. "It was huge, and it was just funneling down. And it went up two or three times and came down. But every time it came down, it seemed like it was just getting bigger," said Mineral Wells resident Tammie Matson, who witnessed the reported tornado. Damage in Mineral Wells was so widespread the Texas Department of Public Safety advised people to avoid the downtown area due to downed power lines and other scattered debris. Wise County volunteer firefighters reported damaged homes, debris and downed trees along Farm-to-Market Road 920 in Bridgeport -- where NWS crews confirmed the tornado touched down southeast of Runaway Bay. 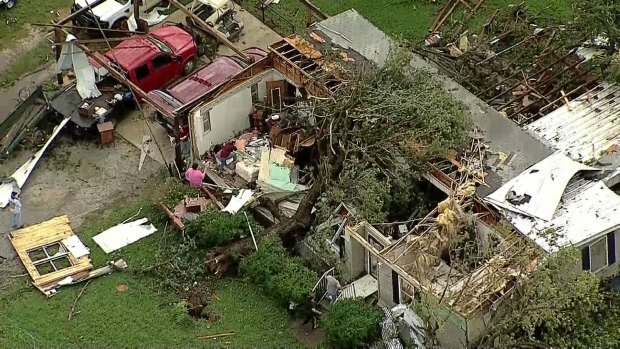 A tornado ripped through the city of Bridgeport, damaging dozens of structures, including homes. A community of about 15 mobile homes was flattened and a number of cars were damaged beyond repair. One woman suffered a minor injury to her wrist while trying to escape her mobile home. The American Red Cross opened a shelter at the First Baptist Church, 513 Port O Call Drive in nearby Runaway Bay, according to spokeswoman Anita Foster. The Red Cross is currently working on a disaster assessment plan. NBC 5's Jeff Smith and Todd L. Davis contributed to this report. Check back and refresh this page for the latest update.